This time of year, I tend to feel a little nostalgic. I think that’s true for most people. For me, my childhood memories are threaded through with books. I remember walking to the library with my mom and siblings, pulling a wagon to bring books home in. It’s one of my favorite childhood memories. 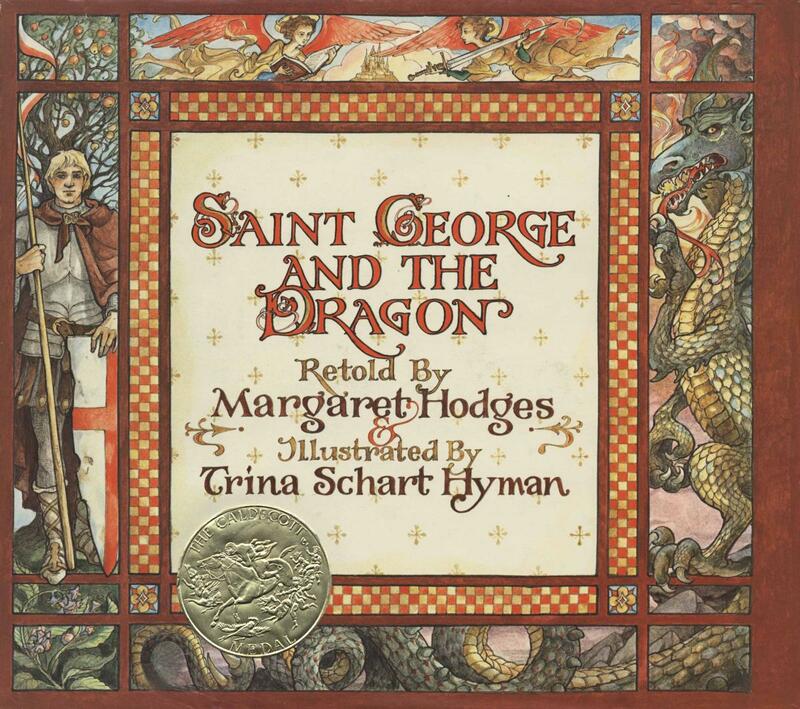 St. George and the Dragon by Margaret Hodges, illustrated by Trina Schart Hyman. How can any kid not love these illustrations? They’re absolutely gorgeous. Combine that with the superb writing, and you feel like you’re traveling with George of Merry England to save the day (although, I did always kind of root for the dragon). The Kitchen Knight, also by Margaret Hodges with pictures by Trina Schart Hyman. What can I say? My love of fairy tales and fantasy started young and I’ve never outgrown it. I’ve been trying to get my hands on this book for years, but I haven’t managed it yet. It’s my very own quest, just slightly less fraught with peril. Ha ha! Jimmy’s Boa Bounces Back by Trina Hakes Noble illustrated by Steven Kellog. This isn’t the first Jimmy’s Boa book (that one is The Day Jimmy’s Boa Ate the Wash), but I absolutely loved this book. It’s hilarious, how ridiculously everything escalates. It’s fun for both children and their parents, which is important because I can guarantee your little one will ask to have this one read over and over. 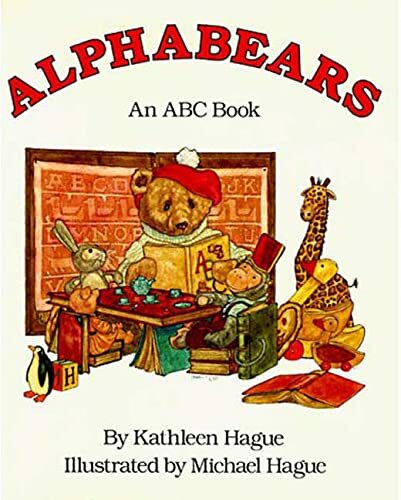 Alphabears by Kathleen Hague illustrated by Michael Hague. This book helped me learn my alphabet. The little blurbs next to each letter are so sweet, and the entire book feels like a hug. There’s really no other way to describe it. This book remains one of my favorites, because I’m weird and I love children’s books. 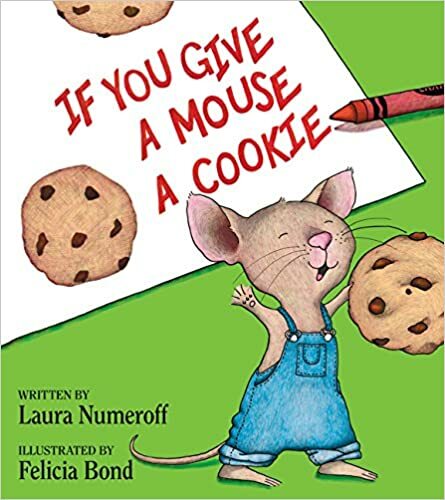 If You Give a Mouse a Cookie by Laura Numeroff, illustrated by Felicia Bond. There are many “If you Give a…” books, but this is the only one I like. It’s so stinking cute! I have to admit that I relate to it more, now that I’m a permanently exhausted parent. 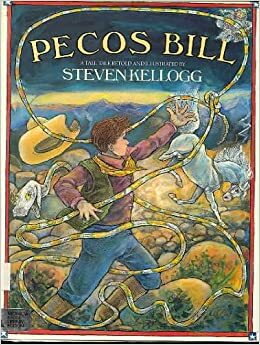 Pecos Bill, written and Illustrated by Steven Kellog. When I was young, I’d read this book while listening to Robin Williams read it on cassette. It’s not the same without hearing his silly antics bring an equally silly legend to life. I’ve looked for it on cd, but haven’t had any luck. 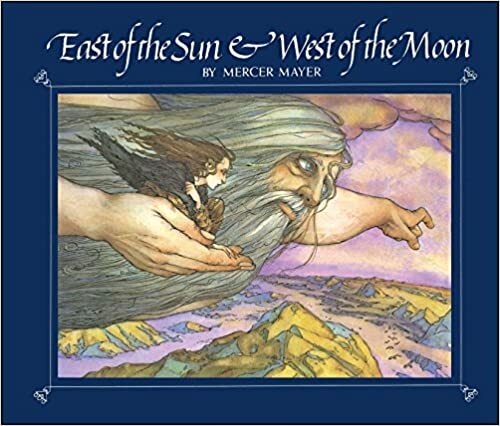 Last, but certainly not least, is East of the Sun, West of the Moon by Mercer Mayer. Another fairy tale, I know, I know, but I’d be remiss if I didn’t include this fantastic book. The story is magical and the illustrations are beautiful. I always laugh a little thinking about how gorgeous this book is, because Mercer Mayer is more well known for his cute Little Critter books (which I also recommend, of course). The great thing about this book is, the hero is a heroine. Anyway, these are some of the books that are on my mind as I think back on all the literary adventures I was able to enjoy as a kid. What are some of your childhood favorites? Such happy memories! I remember having these books read to me in elementary school. Remember the Amelia Bedelia books? Those were my fav!